Cybersecurity is a constantly evolving and highly volatile space in the contemporary world. Packed with fascinating possibilities, this is a domain that is waiting to explode into the world any moment now. 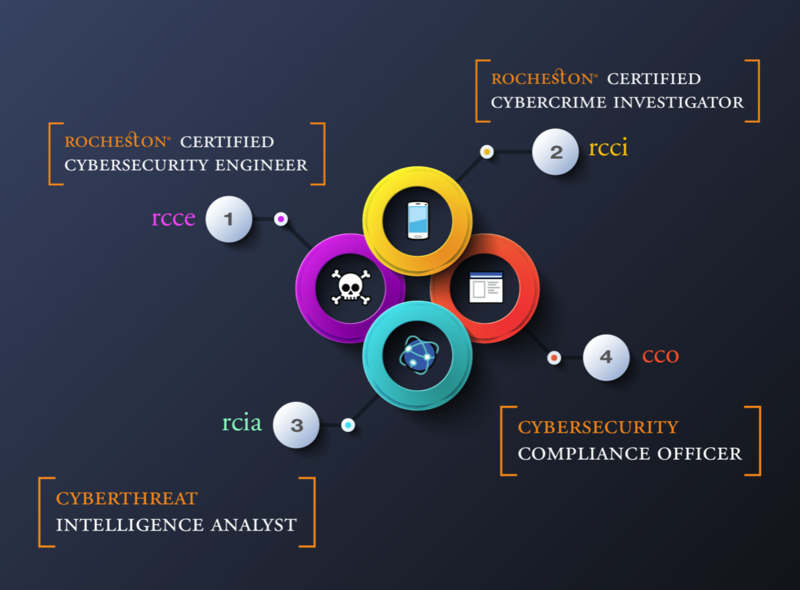 To face the various emerging threats in the cyberworld, we need to prepare ourselves with adequate knowledge and expertise; the Rocheston cybersecurity certifications will enable you to become certified specialists in the various fields within the budding discipline of cybersecurity. The Internet of Things (IoT) is gradually taking over lives. With all digital devices and applications being enabled with smart technology, our lives are becoming increasingly dependent on the internet of things. Thus cyberattacks such as hacking become rampant as tools keep becoming more sophisticated. 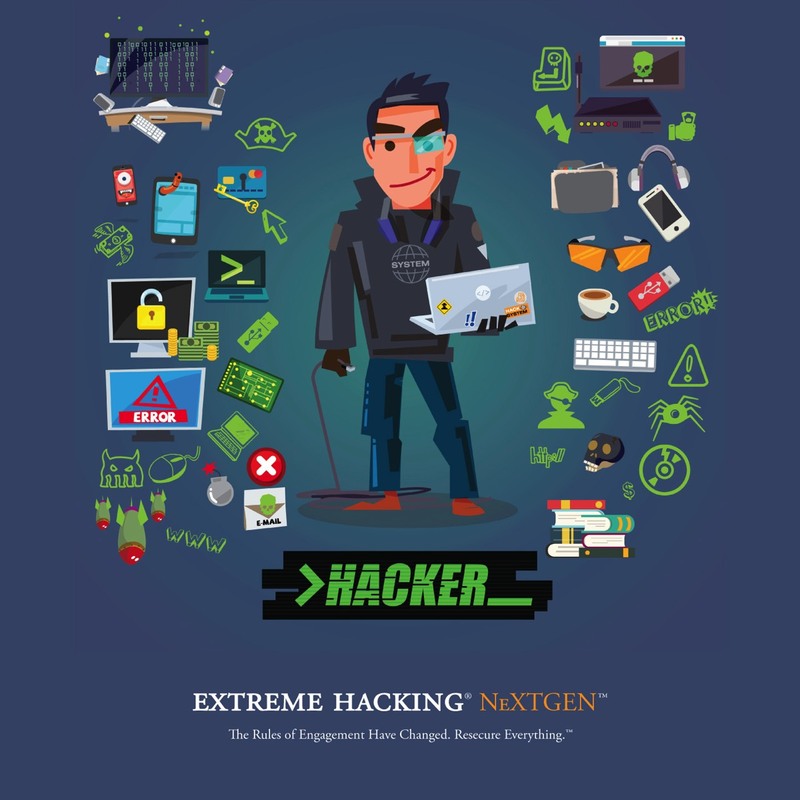 The Extreme Hacking® NeXTGEN™ offers you training and awareness to deal with this evolving threat and prepares you for the Rocheston Certified Cybersecurity Engineer. At Rocheston, we take an innovative approach towards cybersecurity. Thus, we have a range of attractive and cutting-edge certification courses with the most enviable curriculum developed by our own subject matter experts. Compliance is a crucial part of modern-day tech security. 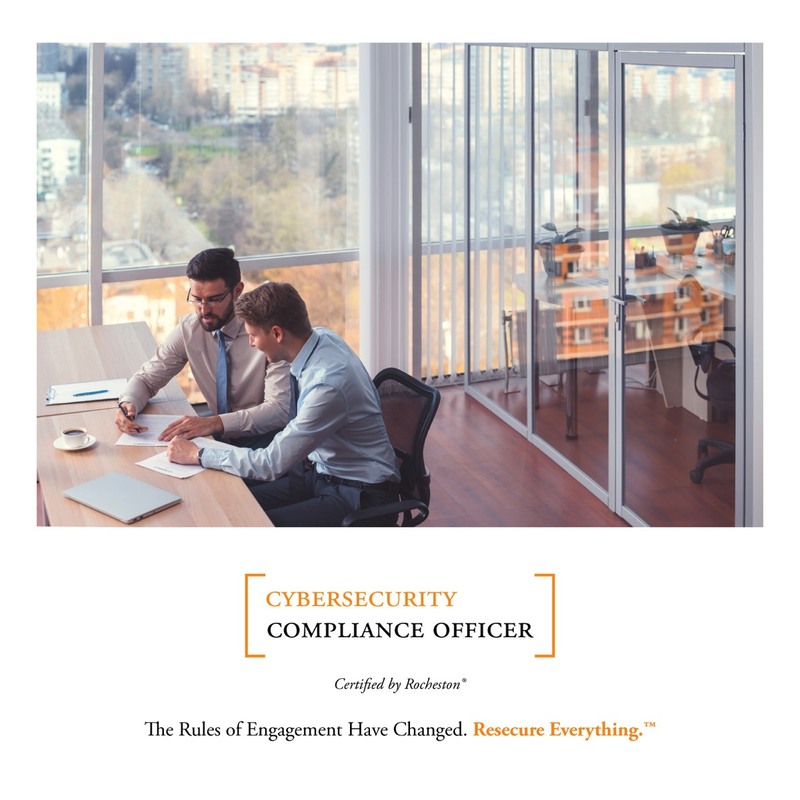 The RCCO course will prepare you for the coveted role of the Cybersecurity Compliance Officer. The Certified Cybercrime Investigator (CCI) course within the CyberForensics NeXTGEN will bring you up to date with what’s trending in Cybercrime and forensics. The course will give you a bird’s eye view of all the different cybercrimes and equip you with the necessary tools and skillset to become a cybercrime investigator, a role that is expected to see increased demand over the next few years. Cyberthreat Intelligence Analyst Course that would enable you to identify cyberthreats before they hit a system, and suggest ways to navigate around them. Cyberthreat Intelligence Analysts have been predicted to be the protectors of our assets in the Cyberspace. Enroll for these highly intriguing next generation programs, and get ready to face the future. Losing critical customer data is often a shameful event for any organization. The data being compromised and falling into the wrong hands is even worse. The legal ramifications to such data breaches can cost the company; even millions of dollars. Avoiding such messy lawsuits is a benefit of compliance. CCOs can weed out such issues at its root. In today’s digital age, cybersecurity is the key challenge, and without cybersecurity, basic human rights will not exist. Organizations spend considerable time and resources away from their core businesses to protect against and regain from cyberattacks. These organizations handle several complex tools that could be disjointed, however gaps and threats find their way into the deep crevices. Security teams in organizations grapple with such challenges and skilled talent to make these fixes are a rarity. Innovation is the light at the end of the tunnel. It is the future of global markets, sustainability, and productivity. Successful businesses do not focus their actions on the present but instead on the possibilities of the future. Rocheston’s innovation program is designed along similar lines. Innovation has become a crucial factor that determines growth trajectory of organizations across the globe. Those companies which intend to stay at the top of their games understand the need to constantly come up with new strategies to succeed in the long run. But often, many businesses fail because they tend to be risk-aversive and fail to innovate. IoT represents a new surge of disruption in technology and it promises to transform the world with an intricate network of connected "things". IoT is about connecting many objects in the physical world; creating their digitized replications and integrating them with the use of internet. This can include everything, from your smart phones, washing machines, air conditioners, lamps, wearable devices and almost anything else you can think of. IoT is pegged to be the next big tech boom. By 2025 there will be an estimated 50 Billion IoT devices connected to the internet . The market is in its nascent stages and is expected to explode into a trillion dollar industry in the next couple of years. With more and more people connecting to the internet everyday, there is a huge trove of data floating around online. Interpreting this data is key. The importance of big data doesn’t revolve around how much data you have, but what you do with it. You can take data from any source and analyze it to find answers that enable cost reductions, time reductions, new product development and optimized offerings, and smart decision making. Every single business is going to be driven by Big Data. AR is a technology that layers computer-generated enhancements atop an existing reality in order to make it more meaningful through the ability to interact with it. AR is developed into apps and used on mobile devices to blend digital components into the real world in such a way that they enhance one another, but can also be told apart easily. It is used to display score overlays on telecasted sports games and pop out 3D emails, photos or text messages on mobile devices. VR is an artificial, computer-generated simulation or recreation of a real life environment or situation. It immerses the user by making them feel like they are experiencing the simulated reality firsthand, primarily by stimulating their vision and hearing. VR requires a headset to be worn. VR is used in gaming to create a more immersive experience and it is also used to train people for different skills. Artificial Intelligence is a computer system that is designed to learn from data and then carry out actions, intelligently based on that data. It is a computer system that can think for itself and find ways to increase the efficiency across processes and tasks. AI plays a big part in automating processes and streamlining operations across all fields. AI and Machine Learning go hand in hand. Machine Learning is the science of getting computers to act without being explicitly programmed. AI systems rely on Machine Learning to function. Autonomous cars use Machine Learning to learn their environment and improve safety. Deep learning architectures such as deep neural networks, deep belief networks and recurrent neural networks have been applied to fields including computer vision, speech recognition, natural language processing, audio recognition, social network filtering, machine translation, bioinformatics, drug design and board game programs, where they have produced results comparable to and in some cases superior to human experts. This field deals with the design and building of robots. These technologies are used to develop machines that can substitute for humans and replicate human actions. Robots can be used in any situation and for any purpose, but today many are used in dangerous environments, manufacturing processes, or where humans cannot survive. They are also used to automate mundane, repetitive tasks and ultimately reduce the burden for human workers. Robotics will rely heavily on AI and Deep Learning to properly function. With more and more information being easily available and with our increased reliance on our smartphones, there is an increased need to protect our privacy and data. Regular passwords are no longer enough so now companies are using biometrics to protect data. Biometrics uses scans of your face, eyeballs and your fingerprints to ascertain a persons identity. Controlling devices and personal assistants that have an interface can become confusing and a little tedious. Controlling devices around you by using your voice is the new trend to arise. Assistants like Amazon Alexa and Siri and leading the voice control race. Adding AI to Voice controlled devices enables the system to learn and adapt according to individual users preferences. Conventional memory storage devices use 100000 atoms to store a single bit of data (1 or 0). Quantum computing is taking that to a whole new level. Quantum computing manages to store a single bit of data(1 or 0) in a single atom. This redefines the amount of storage and computational powers of computers. Drones are unmanned aerial vehicles that have a multitude of uses. They are rising in popularity due to their versatility they are used in a variety of applications. Drones are used for mapping areas that are inaccessible to humans, they are used for delivery of packages and they have found a wide use in military applications. It is the worlds first decentralised system. With a blockchain, many people can write entries into a record of information, and a community of users can control how the record of information is amended and updated. Likewise, Wikipedia entries are not the product of a single publisher. No one person controls the information. Controlling gadgets with physical touch or typing is going to become obsolete. Neural networking is developing technology that is pioneering controlling everything around you with your thoughts. Every single thought generates a unique brainwave. Neural networking aims to interpret these Barun wave patterns and translate them into action. Imagine being able to control everything with just a thought. The possibilities are endless. Latest Issue are now available at newsstands and Apple Store subscription access. Visit distinguished-mag website for a preview.